Heat Exchanger-Powered Wastewater Treatment | Noren Thermal, Inc. In many different industries, wastewater is an unfortunate but unavoidable byproduct of certain essential processes. This water has to be released into the environment, or repurposed for other industrial uses and then released, at some point after production. However, before it can be, companies must institute effective wastewater treatment processes to remove the harmful toxins, chemicals, and other substances that the water carries. In many cases, the use of modern heat exchangers helps make this process much more effective, cost-efficient, and manageable, helping companies maintain optimal wastewater treatment processes at minimal costs. 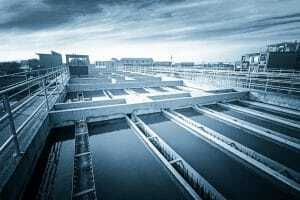 The growing need for companies to institute and streamline their own in-house wastewater treatment processes stems from a greater overall need for companies to lower their environmental footprints. Besides lowering their reliance on energy and finding alternative sources of it besides fossil fuels, companies also focus increasingly more on upgrading processes to produce less pollution as well as improve their overall productivity. Because of this focus, companies in most industries need more than just a way to treat wastewater, but to do so in a way that doesn’t vastly increase their energy usage, but still ensures that all wastewater is properly treated. Treating wastewater properly involves several different processes, and much of it requires heating the water consistently. For example, part of the process involves introducing beneficial microbes that target and eliminate harmful toxins and biological agents. To thrive and do their job right, these beneficial microbes must be subjected to sustained heat. Heat exchangers, which operate on the principals of absorbing and transferring electrical waste heat, have proven a significant advantage in facilitating this process. Companies can utilize the innovative thermal management systems to redirect waste heat and repurpose it for processes that require it, including advanced wastewater treatment. The ability to transfer heat wherever it’s needed is just one of the many green energy benefits of modern heat exchangers. In the case of wastewater treatment, it’s one of the most important benefits. However, they also include the ability to help companies reduce their energy usage throughout the rest of their operations. For example, using heat exchangers to cool electrical enclosures instead of traditional air conditioners helps dramatically lower energy consumption. Also, because heat exchangers use eco-friendly cooling fluid (such as water) instead of harmful chemicals (like Freon), their operations are naturally more environmentally friendly than those of traditional solutions. For more information about the advantages of heat exchanger-powered wastewater treatment, call Noren Thermal Solutions in Taylor, TX, at 866-936-6736.